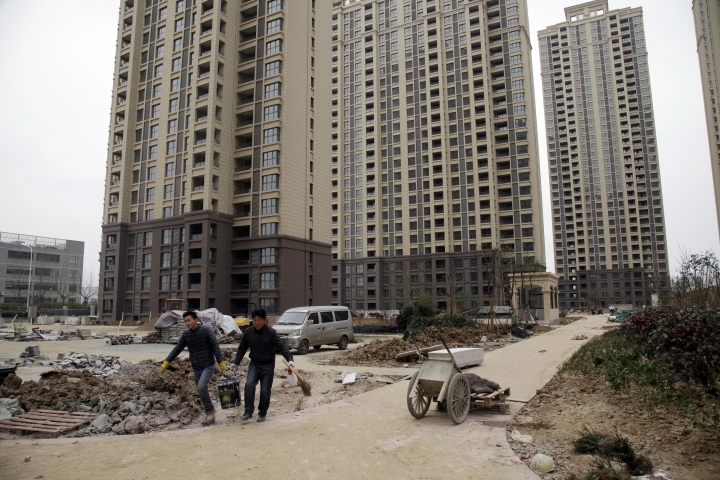 HEFEI, China — The flood of angry anti-Muslim rhetoric on social media was the first sign of how fiercely the suburban middle-class homeowners in this central China city opposed a planned mosque in their neighborhood. It quickly escalated into something more sinister. Soon a pig's head was buried in the ground at the future Nangang mosque, the culmination of a rally in which dozens of residents hoisted banners and circled the planned building site. Then the mosque's imam received a text message carrying a death threat: "In case someone in your family dies, I have a coffin for you — and more than one, if necessary." "How did things get stirred up to this point?" the imam, Tao Yingsheng, said in a recent interview. "Who had even heard of the Nangang mosque before?" On the dusty plains of the Chinese heartland, a bitter fight over a mosque exemplifies how a surge in anti-Muslim sentiment online is spreading into communities across China, exacerbating simmering ethnic and religious tensions that have in the past erupted in bloodshed. It's also posing a dilemma for the ruling Communist Party, which has allowed Islamophobia to fester online for years as part of its campaign to justify security crackdowns in its restive region of Xinjiang. "It's let the genie out of the bottle," said James Leibold, a professor at La Trobe University in Australia who has tracked the growth of anti-Muslim hate speech on China's internet. Interviews with residents and an examination of social media show how a few disparate online complaints by local homeowners evolved into a concerted campaign to spread hate. Key to it was an unexpected yet influential backer: a Chinese propaganda official, 2,500 kilometers (1,500 miles) away in Xinjiang, whose inflammatory social media posts helped draw people into the streets on New Year's Day, resulting in a police crackdown. A stone inscription outside its gate shows the original Nangang mosque was established in the 1780s by members of the Hui minority, the descendants of Silk Road traders who settled across China centuries ago. In its present form, the mosque has served the area's 4,500 Hui for decades, its domed silhouette partially hidden by overgrown shrubs in the countryside beyond Hefei's last paved boulevards. 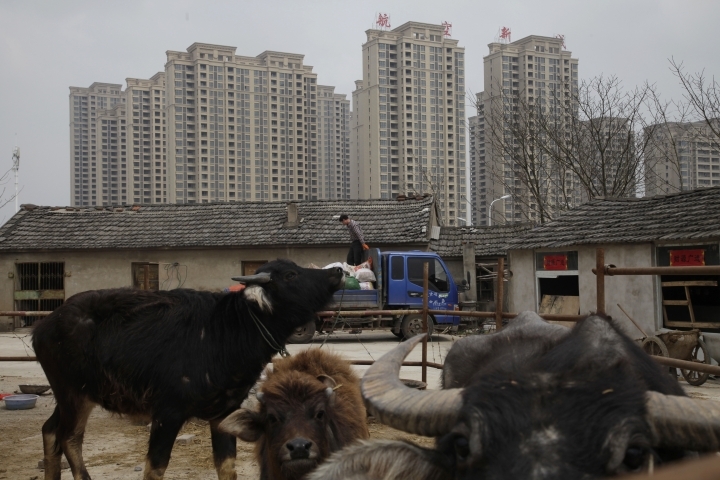 Over the past 10 years urbanization has come to Hefei, with sprawling development reconfiguring the landscape and its demographic flavor, and Hui leaders had been pushing for years to relocate their mosque to a more convenient urban location. City planners in November finally selected a site adjacent to the newly built Hangkong New City condominiums, with its $200,000 two-bedroom units, faux-Mediterranean stylings and a Volvo dealership across the street. The project's homeowners overwhelmingly members of China's ethnic Han majority began complaining on China's popular microblog, Weibo. Some complained the mosque would occupy space promised for a park. Others warned that safety in the area would be compromised. Others were more blunt: Han residents were uncomfortable that a center for Hui community life would be less than 100 meters (300 feet) from their building, a homeowner who later identified himself in messages to the AP by his surname, Cheng, wrote in a petition posted in December. "And the less said about what happens on Eid al-Adha, the better," Cheng wrote, referring to the Islamic holiday in which animals are slaughtered for a sacrificial feast. "It's absolutely shocking." The story soon caught the attention of Cui Zijian, a boyish-looking propaganda official in Xinjiang who writes about the threat of religious extremism on his Weibo account with nearly 30,000 followers. On Dec. 16, Cui suggested homeowners lobby local officials to block the construction, adding: "If that doesn't work, then how about pig head, pig blood." Cui followed that a few hours later with another post repeating the four Chinese characters for pig blood and pig head over and over, attracting hundreds of reposts. While Cui was criticized by some on Weibo, a larger number — including at least one other government propaganda official — took his post as their cue to hurl abuse at the Hui. The mosque dispute was just the latest flashpoint for an increasingly active anti-Muslim social media movement in China. A video of a Hui girl reciting the Quran in Arabic sparked outrage last May over so-called terrorist infiltration of Chinese schools, prompting officials to announce a "strict ban" on religion on campuses. Online activists derailed a Hui official's effort to regulate the halal food industry, arguing that religion was creeping into the officially atheistic Chinese state. Han Chinese, who make up 95 percent of the population, have long grumbled about the dozens of China's officially recognized minority groups receiving advantages on the hyper-competitive college entrance exams or exemptions from family-size limits, but online abuse has increasingly targeted Muslims. The rise in Islamophobia comes as Chinese have been buffeted by news of militant attacks in Europe, while at home, violence in Xinjiang and elsewhere has been blamed on Muslim separatists. Beijing has responded to the bloody, years-long insurgency from Muslim Uighur minorities in Xinjiang with further restrictions on Islamic expression, a move rights groups warn could potentially radicalize moderate Muslims. Such policies have also drawn vows of retaliation from the Islamic State and al-Qaeda. Ethnic hostility can only deepen, scholars say, when the government stops discussion of the plight of Muslims or ethnic policies while allowing anti-Muslim rhetoric and hate speech to go unchecked. In 2014, Uighur scholar Ilham Tohti, who had founded a website to host debates about ethnic tensions in Xinjiang, was sentenced to life in prison on separatism charges. Government censors go after descriptions of abuses against Muslims, but "it doesn't take long whatsoever to find incredibly Islamophobic things that seem to be not censored at all," said William Nee, China researcher at Amnesty International, which has appealed for Tohti's release. Political observers say the recent rise of a faction within the Communist Party advocating for a hard-line approach on religious affairs has coincided with the rise of government-linked commentators who openly warn about the danger of Islam. "Interest groups have actively promoted Islamophobia in interior regions in order to create a nationwide environment that justifies Xinjiang's anti-terrorism campaign," said Ma Haiyun, a history professor specializing in China's Muslims at Frostburg State University in Maryland. "There's an Islamophobic movement that aims at creating chaos and even conflicts at the local level." After briefly moderating his remarks about the Nangang mosque, the propaganda official, Cui, renewed his criticism in February with an essay arguing that his professional and patriotic duty was to resist extremism. His online speech about Muslims was part of the job, he said. "For that, we're labeled Muslim-smearers," wrote Cui, who did not respond to repeated requests for comment. "But it is those who instigate a fear of Islam, precisely the terrorists and the extremists, who are the ones smearing Muslims." Reached in March, an official at the propaganda department where he worked refused to comment on Cui's involvement in the controversy. But Cui now appears to be even better positioned to influence discourse: The official said Cui was transferred in February to work in the cyberspace administration, the agency in charge of censoring online speech. 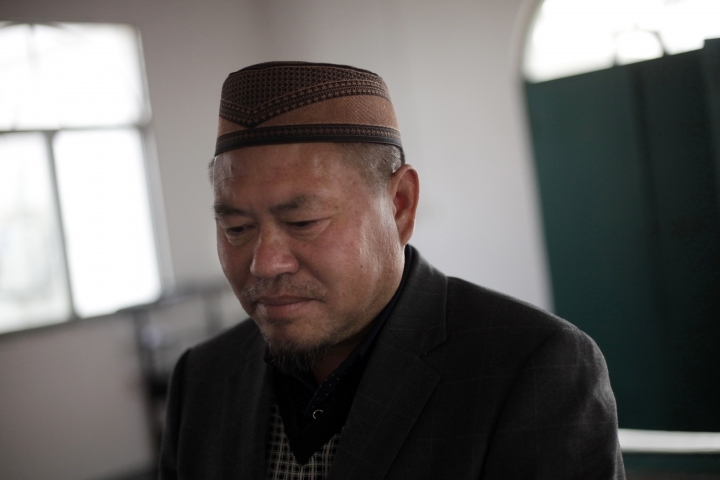 Tao, the 50-year old imam, recalled the day in December when he heard his mosque was suddenly the subject of thousands of posts and hundreds of comments on Weibo, a service he barely used. He soon found himself soothing local Hui who approached him, shaken by what they were seeing online. "They said people were planning to hang a pig's head outside our mosque. I said, 'Then we'll remove it.' They said people will bury a pig's head in the ground. I said 'Why can't we just dig it up?'" Tao said. After protesters followed through with the threat at the New Year's Day demonstration, police detained two protest leaders for two weeks and summoned others for questioning, according to residents. Since then Han indignation has gave way to quiet seething. "People have been scared into silence," said Cheng, the Han tea seller. During a recent visit to Hangkong New City, homeowners repeated the government's mantra that ethnic unity was important, but complained that officials sacrificed their interests to appease a minority. "If 99 percent of our compound is Han, it doesn't seem appropriate that they put a mosque next door," said a middle-aged woman who said her surname was Han. 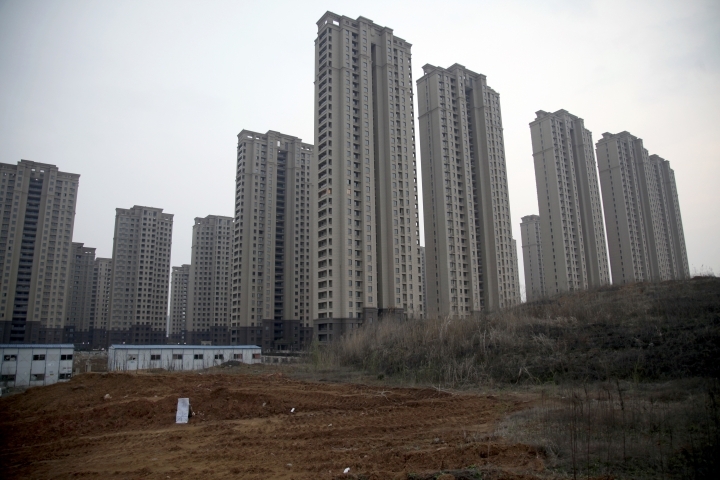 Ma Jianhua, a Nangang district planning official, told the AP that construction will proceed after his office "appropriately handled" homeowners' petitions, but declined to elaborate. 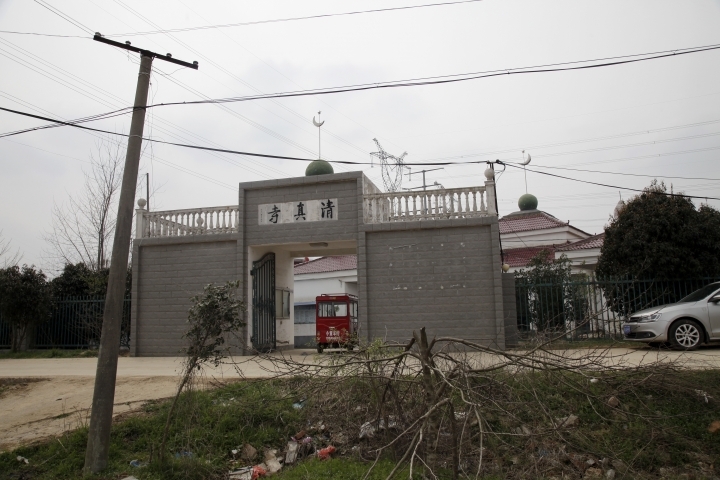 The mosque dispute has left the city's Hui community on the defensive, with many eager to emphasize their desire to peacefully coexist with their Han neighbors as well as their confidence in the government's handling of the situation. At a ranch past the undulating rapeseed field that separates the condos from rubble-strewn Huimin Lu — Hui People's Road — workers at what is one of the few Hui businesses that hasn't been demolished to make way for high-rises expressed surprise about the mosque dispute, given the area's history of ethnic mingling. "We've been in these parts a long time," a worker surnamed Tao, who is not related to the imam, said as he loaded sacks of dried fatty beef. "We mind our business and they mind theirs. We don't stir up trouble and they don't either." But Tao, the imam, seemed to acknowledge a hardening of attitudes toward Muslims in recent years. "It may be that the situation has grown more sensitive in that place that we all know about," he said after a pause, referring to but not daring to mention Xinjiang. Still he tries to not harbor resentment toward the Han protesters. "I don't blame the locals because I believe they were influenced," he said, sitting below framed pictures of him greeting government religious affairs officials. "I want them to know Muslims are virtuous people. We are peaceful. We are reasonable. We are tolerant. And we are good Chinese."